Sweet roasted carrots served with a creamy, tangy cilantro yogurt sauce make a healthy weeknight side or appetizer for spring or summer. We don’t really like carrots. Ok, I take that back, we like cake made out of carrots, and we like raw carrots, but both Jack and I grew up with a disdain for cooked carrots. Of course, we only knew them as the mushy baby carrot version. Or worse yet, the mushy baby carrots in the pot roast version. We both have memories of our moms smasing the carrots and boiled potatoes together and pouring gravy on top. “But it’s so good this way”, my mom would say… each and every time… as if one day this mush would miraculously taste like ice cream. But last Saturday at the farmers market, I couldn’t pass up a bag of colorful carrots. (It also helped that the design of the label on the bag was so darn cute). I brought them home and realized that cake was out, as it would be the ugliest looking brown carrot cake. So instead, I decided it was high time to make cooked carrots taste good – by roasting them to tender-not-mushy-caramelized goodness. I made a tangy cilantro yogurt to dip them in, and we both devoured them. Depending on the size of your carrots, slice them lengthwise in half or quarters. Drizzle with a bit of olive oil and toss them with the minced garlic and pinches of salt and pepper. Arrange on a baking sheet. Bake for about 20 minutes, flipping halfway through. 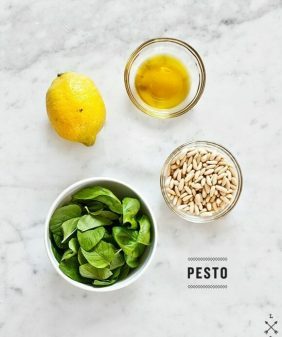 Meanwhile, make the yogurt: In a small bowl, combine the yogurt, olive oil, agave, onion, garlic, ginger, lime juice, mustard seeds, cilantro (reserving some for garnish), and a pinch of salt. Stir, taste, and adjust seasonings. Add the reserved cilantro on top for garnish. 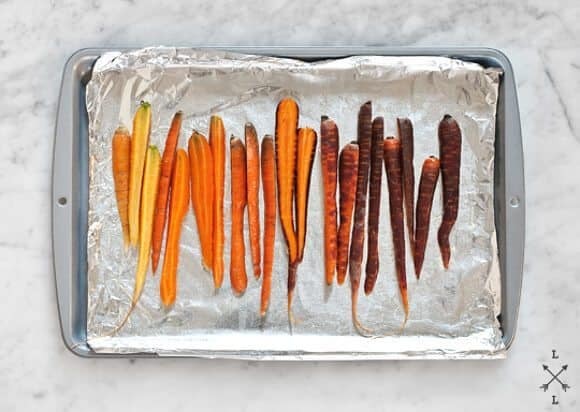 Refrigerate until ready to serve with the roasted carrots. sounds incredible. I hate the mushy kinds too, which is what I grew up with. Love the crunch. The sauce looks delicious. Oh wow .. you will be the first person I know who doesn’t like carrots 🙂 Roasted carrot always taste better and that yogurt dipping is a perfect pairing! So, so beautiful. I know Little Buddy will love these. And that cilantro yogurt? Perfection! I was never a fan of carrots either, but I love them roasted! It seems to be the trick for many other vegetables I don’t like, such as cauliflower and broccoli. Something about roasting them makes them absolutely delicious. Next time I’ll be sure to try the cilantro yogurt. 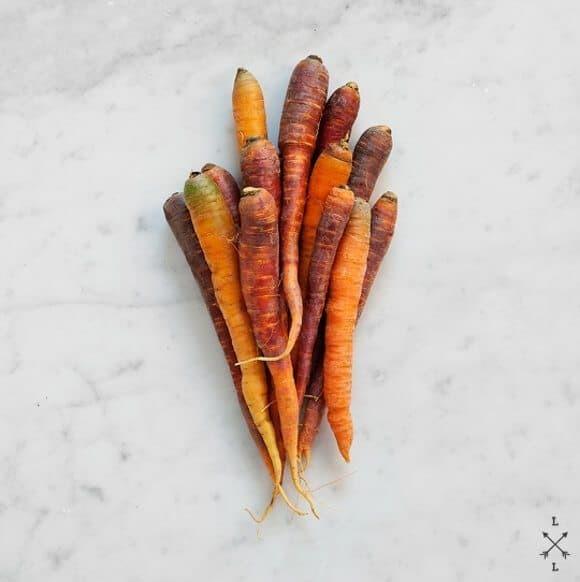 These carrots are gorgeous! I’m always amazed at the striking beauty in nature. It’s funny how we process our food so much it looks nothing like it did in nature, which is a shame because natural foods are beautiful, colorful. Cilantro yogurt is a wonderful compliment to this–I’m vegan so I’ll be using a non-dairy yogurt. Lovely, & I really like your blog & have been following for awhile, but not sure I’ve stopped to comment & thank you! Roasting is a great way to get everyone eating to eat their vegetables, it does something magical to them. I felt the same way about beets, they scared me to death when I was little, that is of course because I was only offered the canned ones – then I had them roasted and now are one of my favorite things! Roasting carrots is just about my favourite thing to do with them ever. I love that touch of caramelised sweetness they get. They must pair so well with the yogurt dip. Looks & sounds fantastic. 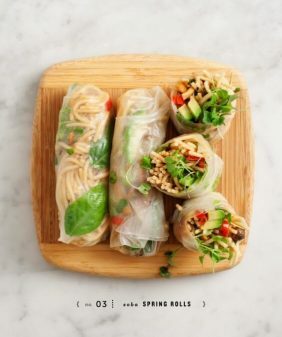 Love your blog and get hungry every time I look at the beautiful photography too! I actually love cooked carrots, and I have just one child who adores them, too! These are so gorgeous! I love the idea of the cilantro yogurt dip, too. 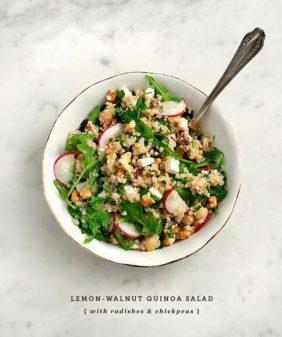 I really want to try this recipe, I think it would make a great side dish! I adore roasted carrots. Love the cilantro yogurt idea, too. Perfect for the summer! I’m so with you… I tend to generally dislike carrots but I think it’s mostly a cooking issue. I am, however, a huge fan of carrot, ginger and lime juice- it’s the best! I also love carrot tops in green smoothies. Some people say they’re toxic (I’m guessing only when consumed in super large quantities), but to me they taste like freshness in a glass! I think so many people dislike particular vegetables because they’ve never had them cooked really well. I wouldn’t want to eat mushy, tasteless carrots either! On the other hand, roasting is obviously a perfect choice. 🙂 I love the beautiful colors too! 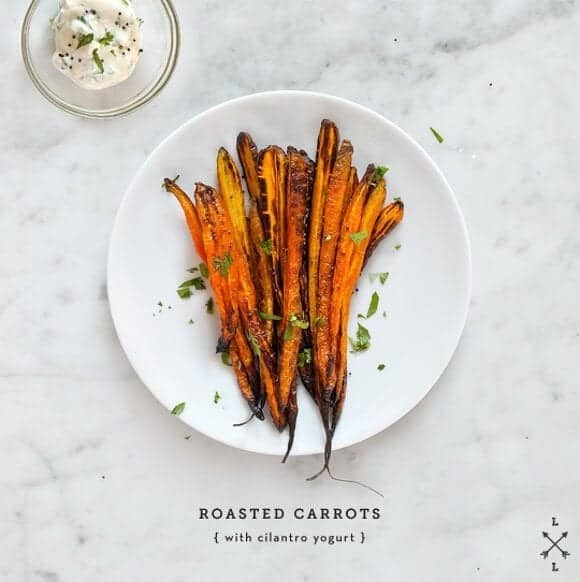 I’ve always adored roasted carrots and the cilantro yogurt sounds amazing! These look really good! They look a bit like sweet potato fries which are always really tasty. I have a really hard time with carrots also. I’m not sure if it’s the taste or texture that I don’t like, but I will usually avoid them. The colors are so beautiful, not wonder you couldn’t pass them up. I take it they were tasty? I’m also someone who is a little picky when it comes to carrots. 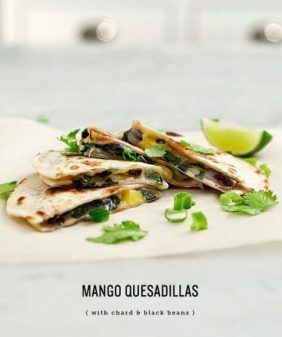 These are gorgeous and I have both carrots and cilantro coming in my CSA this week, so I’m happy to have found this recipe. Thank you! 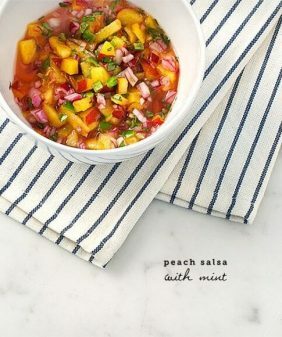 Wow another great recipe with incredibly beautiful photos! Isn’t amazing how roasting almost any vegetable instantly makes it incredible! I love how the sweetness totally shines in roasted veggies – beautiful pics too! Roasted carrots = new obsession! 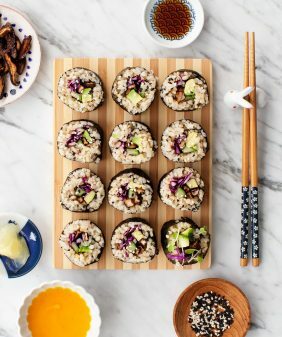 catching up from being off the grid for so long, i want to eat everything you’ve posted this month! This is my very favorite way to eat carrots. love that sauce.